It had been in my mind for some time to try setting a crossword where the playing of musical notes would be integral to discovering the theme. The only puzzle I could immediately recall that used actual music was Listener No. 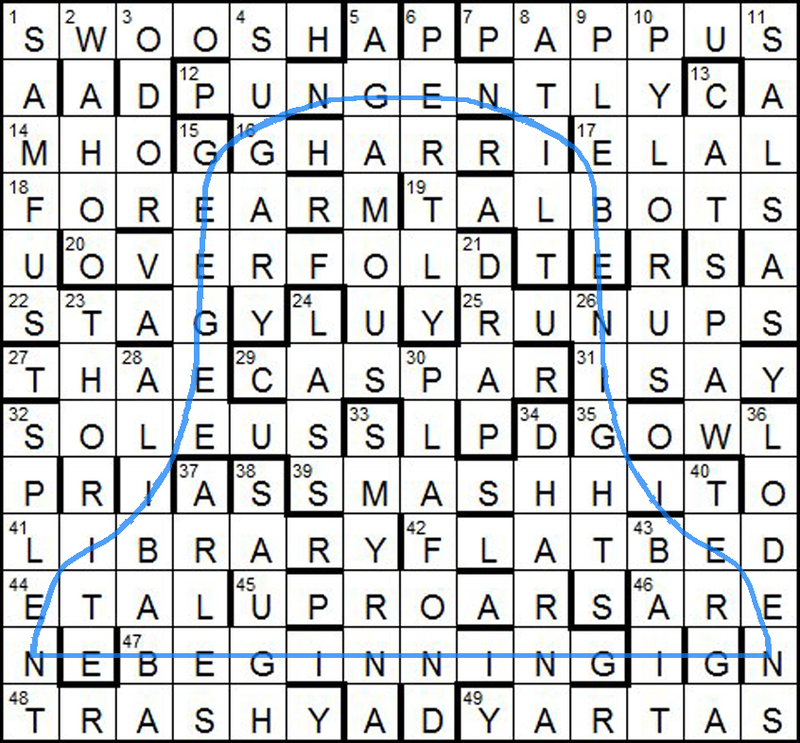 3819, “A Musical Crossword” (by Electra), which celebrated the 75th anniversary of the Listener series ten years ago. In that puzzle, misprinted letters gave the notes for the tune of “Happy Birthday” in the key of C. Whatever “tune” I chose would also need to be fairly well-known, and simple. The Westminster Chimes seemed a likely candidate (a widely-used chime with only four notes), and I could hear them playing in my head – or at least I thought I could! A little research quickly revealed that my “remembered” sequence of notes was inaccurate, and I had to be sure I got it right for the puzzle. There are recordings of the actual chimes on the internet, and I also made my own recording from the radio. In all, there are five four-note phrases used to make up the sequences for the quarters, using different numbers and orderings – plenty of scope for confusion. Before Big Ben strikes on the hour, four out of the five are used. Finally, I decided to use sol-fa notation to describe the notes, to avoid any problems with sharps (or flats) in conventional musical notation. From the clues, I needed to generate the four synonyms of SO, DO, RE, and ME (SO coming first as it’s in the octave below), and the four 4-digit sequences indicating which of these notes to use. I think I came up with two fairly novel approaches to this, but apologise to any solvers who have a strong aversion to letter counting in clues. The spacing out of the four groups was there as an aid to identification, but I know that some solvers found this step tricky. The homophone in the title was intended as a late PDM, and would certainly have been helpful if spotted early. The completed puzzle was then given a thorough going-over by my trusty test-solver – my thanks to “you know who you are”! The preamble and some clues were further polished up by the Listener editors, mainly for concision, and especially to take account of available space on the printed page. I am very grateful to them for the improved puzzle that resulted. A happy coincidence was that the date chosen for the puzzle to appear was my daughter’s birthday, and she has a son named Ben (not big … yet!) born a couple of years after I first had the idea for the puzzle. This entry was posted on 29 November 2015 at 10:00 am	and is filed under Setting Blogs. You can follow any responses to this entry through the RSS 2.0 feed. You can leave a response, or trackback from your own site.